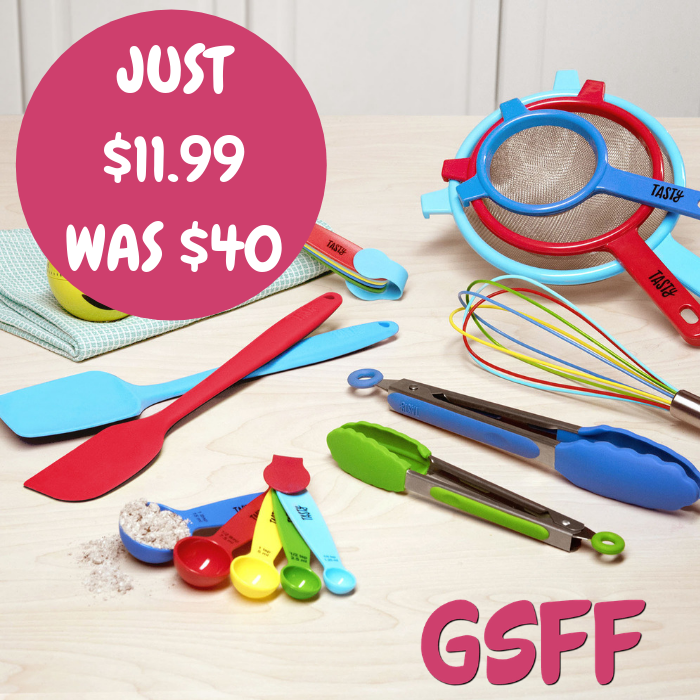 Kitchen Utensil 19-Piece Set Just $11.99! Down From $40! At Walmart, you can score this Tasty Kitchen Utensil 19-Piece Set for just $11.99 down from $39.76 PLUS :fr store pick up or FREE shipping for orders $35 or more! Everything but the kitchen sink. Prepare, mix and whip everything from cookie dough to your famous spaghetti sauce recipe with this handy kitchen gadget set packed full with kitchen essentials. Use the timer to remind you when your food is done cooking or baking, just in case you get caught up in that television show binge. No matter what recipe you’re trying to tackle, this Tasty kitchen gadget set will measure up to your expectations.